Something I've always wondered: With the exception of David Copperfield (who somehow managed to marry a supermodel), how can magic tricks be considered cool, yet the magicians themselves are considered un-cool? And he married her when she was still in her prime! I try to give magicians the benefit of the doubt - that they are misunderstood and maligned geniuses of a sort. (Except Cris Angel. I just can't support someone who is so thoroughly creepy looking while simultaneously butchering the spelling of the name "Chris.") 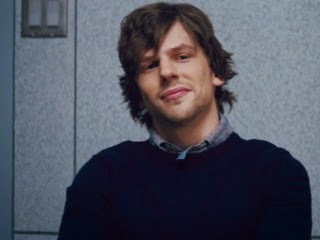 But when Jesse Eisenberg embodies everything that is annoying about a person, I'm supposed to believe he scores hot girls on his magic talent alone? This guy? Really? Did he flat iron his hair? Then we have the real "main characters," Mark Ruffalo and Mélanie Laurent. Ruffalo, of course, does that thing he does in so many other movies - look sort of disheveled and scattered, but has a personality that's supposed to be charming in it's own way. I know he has curly hair, but has the man ever had a haircut? Every time I think of him, all I can think of is him dancing in his underwear with Kirsten Dunst. And Mélanie Laurent is, well, cute and French. She represents everything American women covet about the French and therefore I am torn between wanting to be her and hating her out of spite. You can't un-see this. You just can't. 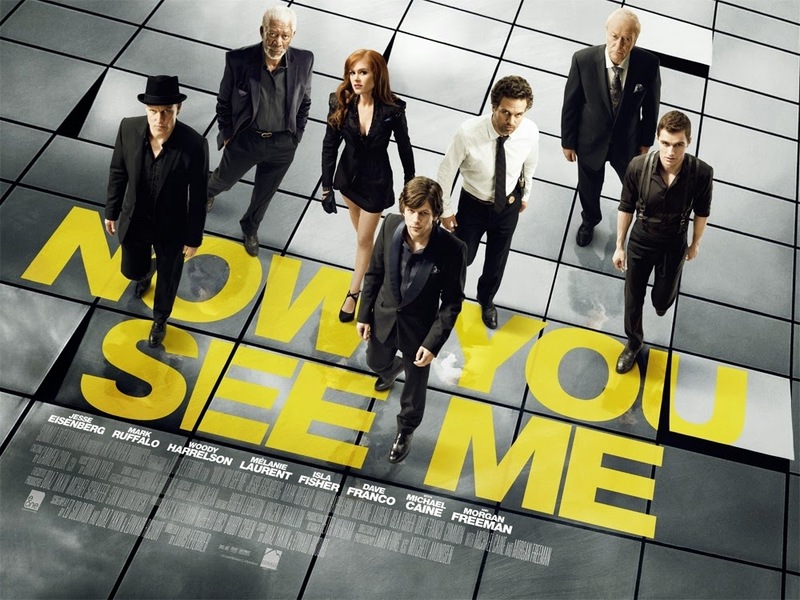 While the movie offers something a little different from the usual caper plot, its plot is still relatively predictable. But it keeps you watching because you want to know how the tricks work. Unfortunately, the reveal of a trick can never live up to the anticipation of it, so the ending is sort of doomed either way because you couldn't possibly end this without explaining how they were pulling it off. Final word: It almost made me want to break out a deck of cards, until I remembered I don't actually know how to do any magic tricks.